Each of us stands at the center of a series of concentric circles of influence. Radiating outward from ourselves, our closest circle probably includes immediate family. Next is our friends and closest colleagues. From there we have influence among our extended family and other colleagues. Next, we have influence in our congregations and organizations. We might have a circle for our town or community or another for regional influence. 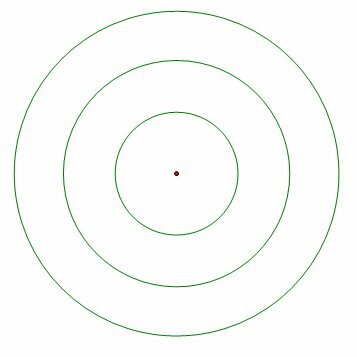 The outermost circles represent our influence nationally or perhaps globally – the furthest reaches of our social and professional influence. Leaders should never neglect the inner circles in favor of increased influence at the outer edges. Our first responsibility is self-leadership – emotional, physical, spiritual – followed by good stewardship of our influence in our closest relationships and those we see on a regular basis. Are you taking care of your inner circles? Can God Not Also Prune?